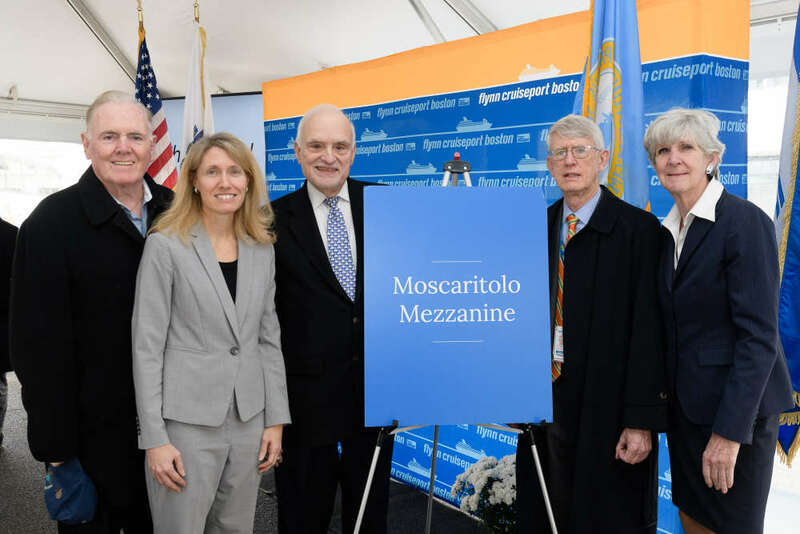 Massport and elected officials recognized Moscaritolo for his extraordinary efforts in promoting Boston and New England as he prepares to leave the organization in February 2019. “Pat, time and time again, has been an advocate and a successful supporter of the blue-collar job sector in Boston. Hotel workers, longshoremen, waiters, chefs, bartenders, valets, and the list goes on,” said State Senator Nick Collins. Since 1991 Moscaritolo has been CEO of the GBCVB, the primary marketing and visitor service organization that develops convention and tourism business for Greater Boston while representing more than 1,200 businesses throughout New England. Prior to joining the GBCVB, Moscaritolo served as the Deputy Executive Director of Massport and as the Director of Logan Airport. During his tenure, Logan Airport won national awards for its “Airports Are for People, Too” customer service initiatives. Glynn and Weiland both thanked Moscaritolo for his role in convincing the state legislature to approve a $100M expansion plan and upgrade for the Cruiseport facility. The project will enable Cruiseport to further expand its season and Homeport multiple ships per day, including vessels with over 4,000 passengers.